It’s been a few months since the winter holidays ended, and we’ve had time to recover from the smorgasbord of food consumed between Thanksgiving and New Years. But as we begin to anticipate another big meal this spring, it’s important to get back to the basics when thinking about craft beer at the dinner table. Bringing craft beer to the dinner table for holiday meals like Easter isn’t quite as easy it may seem. With the excessive amount of ingredients that make up many Easter dishes, it can be a challenge to work with the competing flavors. It’s important to select beers that will not contradict, and instead will bring out, the flavors in each dish—you don’t want your beer to overpower what’s on your plate (nor vice versa). While you’re snacking before the main course, look for options on the lighter side. Beers that have a slight malty sweetness, spice or funk can often balance out the characteristics of salty meats, heavy cheeses and crudités. It’s common in my family to pull out aged salami, provolone and water crackers while the rest of dinner is cooking. The malty sweetness of a German lager or dopplebock balances the saltiness of that salami, while the funk and spice of a saison can complement the sharp, buttery sweetness of a great Dolce-style Provolone cheese. Now that dinner is ready, you’re moving on to heavier dishes like mashed potatoes, stuffing, green bean casserole, and the crown jewel: the ham (or turkey for some). Here’s where pairing gets challenging. There are so many rich, spicy, fatty and savory flavors competing that it can be hard to match them with your chosen beer. Choosing options with a prominent hop profile, tartness or malty sweetness should balance out what you’ll get from your main courses and side dishes. A typical main course around my Italian household actually deviates from the common turkey and ham. Instead we’ll have homemade ravioli in a sweet, succulent family recipe sauce that simmers all day with spiced calamari and shrimp. 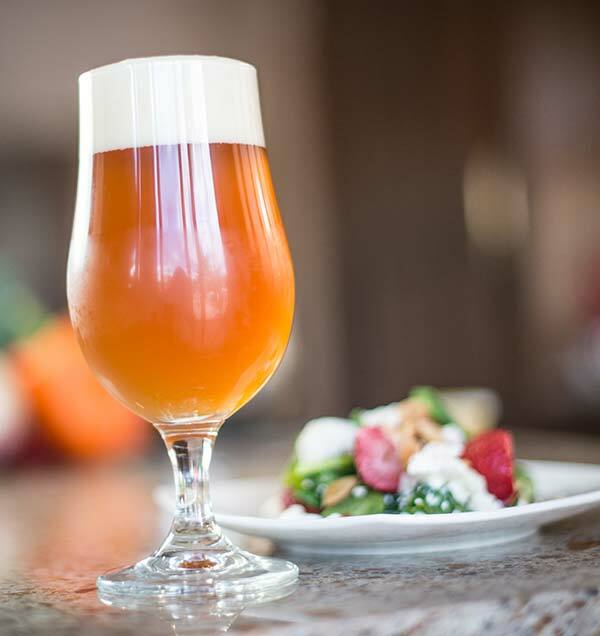 The dominant hop profile of an IPA works well to temper the spices in the calamari and shrimp, while the tart and funky aspect of a Belgian Flanders red complements the sweetness of the ravioli sauce. Remember, bottle-sharing is your best bet in a large meal, as it allows you to taste multiple beers with multiple dishes! Here are a few favorites that would will pair nicely with this dish and other hearty main courses. Dinner is over, you’re stuffed, and now it’s time for dessert. My dessert table is often filled with Italian wine cookies, pizzelles with a strong anise flavor, and a rich parrozzo almond cake. For these and other rich desserts, you’re going to want brews with a bigger alcohol presence or a strong malt and roasted backbone, like a barleywine or imperial stout, to balance the sometimes overpowering sweetness of most desserts. Remember, these pairing suggestions are not all-inclusive. Easter can be a great opportunity to share larger bottles with family and experiment a little. Keep it simple and select brews that don’t have too many competing flavors.